Odds are solid that none of you actually saw 2010’s Tekken, a live-action adaptation of the long-running Namco Bandai fighting game series that, while not the worst video game to film adaptation in history, was certainly not what anyone would consider “a good movie.” I had to watch the flick for review, and rest assured, you didn’t miss much. It perverted the game’s storyline, added an unnecessarily cliche dystopian wasteland and imbued every character with a host of new traits that arguably served the plot, but made them unrecognizable to fans of the game. Even worse, the film never once mentioned Tekken’s resident Mexican half-man/half-jaguar alcoholic luchador priest. It’s like the movie’s creators had a checklist of points to hit, but an underlying drive to anger anyone who might be contractually obligated to write a review of the flick. That’s a bit worrying, but the big saving grace of this flick is that Crystal Sky has hired Ong Bak director Prachya Pinkaew to helm the movie. Pinkaew, for those unaware, has been one of the biggest names in Thai action movies over the past decade, alongside Muay Thai fighter/star Tony Jaa. It’s not accurate to say that everything Pinkaew touches turns to gold, but as anyone who has seen his movies will attest, the man knows how to film awesome fight scenes. 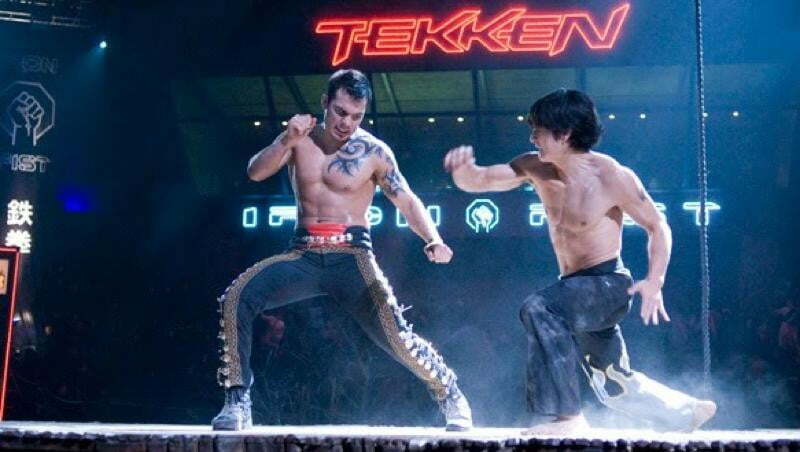 Don’t get us wrong here: We don’t actually think Tekken: Rise of the Tournament is going to be a good movie. Video game adaptations just don’t work. At best they can be passable or kitschy, but never good. That said, Pinkaew’s involvement does leave us hopeful that the film’s fight scenes will be utterly stunning, which would be a pretty solid boon for a movie based on a fighting game. Or, if we’re allowed to voice wild, completely unrealistic hopes for the movie, we’ll go with Twitch’s idea that Pinkaew might somehow convince Tony Jaa or Raging Phoenix star JeeJa Yanin to take part in the film. We’d watch Tony Jaa in anything, and Yanin is the most adorably charismatic fighter this side of Chun-Li. Neither truly fits in with the movie/game’s canon, but either would undoubtedly elevate the film.